Key trends in technology and consumer choices have the potential to result in very different profiles of energy consumption, on-site generation, renewable energy output and the mix of network services. These mega-shifts that are transforming Australia’s electricity supply system make network tariff reform essential, to ensure that network charges are fair, sustainable and reward customers for efficient choices. The need for tariff reform is urgent. Without network tariff reform unfair cross-subsidies will persist, and the community costs of investing in network capacity and customer technology will be higher than they might otherwise have been. Successful electricity network tariff reform will require a clear customer focus, new support and decision tools for customers, and collaboration among stakeholders. Energy Networks Australia engaged KPMG Australia to assist in producing the Electricity Network Tariff Reform Handbook as a toolbox for electricity distributors and industry stakeholders – including governments, consumer advocates and retailers – to guide them in planning and implementing successful tariff reform. It will support efforts to make prices fairer now, deliver lower prices over the longer term and enable customers to use new technologies. Energy Networks Australia is interested in the views of all stakeholders about the case studies and suggestions in the Handbook. Please contact us at info@energynetworks.com.au to provide your feedback or arrange a discussion. As part of the consultation process in developing the Handbook, the Energy Networks Australia hosted a public webinar on Wednesday, 27 April 2016 to provide interested parties with an opportunity to learn more about the Handbook and pose questions to the Energy Networks. The slide presentation supporting that webinar is available here and a recording of the webinar can be downloaded here. 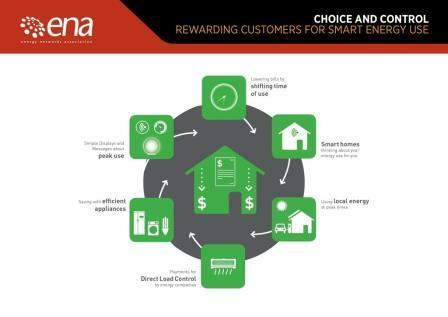 Successful network tariff reform will provide customers with choice and control, rewarding customers for smart energy use as illustrated in Figure 2 below. 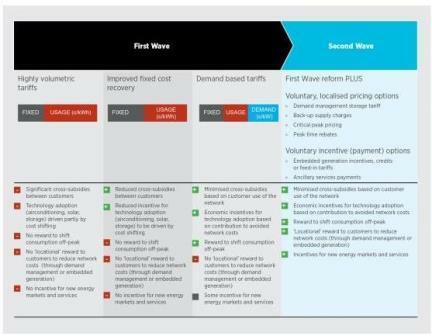 The initial phase of tariff reform can be thought of as a “first wave”, in which electricity distributors will meet their responsibility to all customer segments to price network services and share cost recovery in a manner that is fair and efficient. 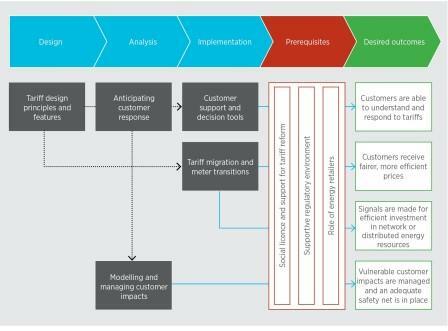 The full optimisation of Distributed Energy Resources and smart technologies might require a “second wave” of tariff and incentive reform for customers to maximise the value of how they choose to source and use electricity.